WASHINGTON – President Donald Trump may have backed off his threat to close the border, but business leaders said Monday there is a very real slowdown in crossings after the redeployment of Customs and Border Protection officers. Then-Homeland Security Secretary Kirstjen Nielsen last week ordered 750 CBP officers pulled from ports and sent to assist with border patrol duties in the face of a flood of migrants at the southern border. 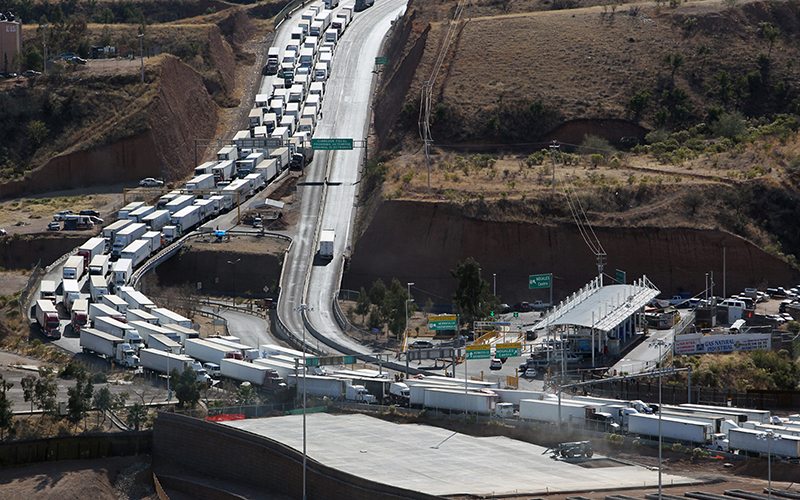 Business and government officials from both sides of the border say that move has led to lane closures, increased wait times and loss of certain services for commercial traffic at the border. Laredo, Texas, Mayor Pete Saenz said that moving CBP officers has closed a third of the lanes at the port there, which has cost one company $600,000 in overtime payments. “Any threat, just the actual verbalizing of a threat of closing the border causes chaos and uncertainty,” Saenz said. “The removing of CBP officers who are so specialized and crucial for the transfer of trade and commerce is vital.? It caps a week of tumult on border policy for the Trump administration that saw the president not only threaten, then back away from, a border shutdown but also vow to withhold $450 million in aid from Central American countries and shift the CBP officers away from ports of entry. The shutdown threats come in response to large numbers of migrants from Central America arriving at the border. CBP said it was on track to apprehend 100,000 migrants in March, the highest number in nearly a decade, and was forced to release many immigrants into the community because it did not have capacity to house them all. And on Sunday, he accepted the resignation of Nielsen, long a target of Trump’s for her department’s inability to crack down on the border and attacked by Democrats for the DHS policy of separating families at the border. Trump said in a tweet that CBP Commissioner Kevin McAleenan will be acting secretary. 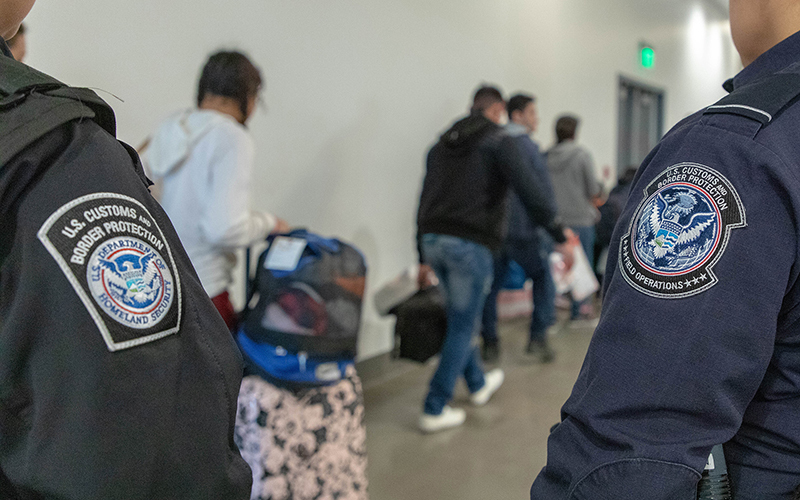 Grijalva and other Arizona lawmakers also criticized Nielsen’s decision to shift CBP officers. “Reducing the number of Customs officers will only increase the average wait times for cars, trucks and pedestrians and significantly disrupt the efficient flow of economic activity and tourism that benefits all of Arizona,” Grijalva said in a letter with fellow Tucson Democrat, Rep. Ann Kirkpatrick. The state’s two senators, Democrat Kyrsten Sinema and Republican Martha McSally, also wrote to DHS calling for the officers to be returned to the ports. When asked about the delays Monday, CBP referred to statements by McAleenan when the redeployment was announced, which acknowledged it would result in delays, but that the need to deal with immigrants was more important. “There will be a slowdown in the processing of trade, there will be wait time increases in our pedestrian and passenger vehicle lanes … but this is required to help us manage this operational crisis,” he said two weeks ago. Hamer and others on the call said the shutdown comes at a particularly bad time, as Easter season typically sees a lot of cross-border business. They said they understand the problems at the border, but that trade does not have to be sacrificed for security. Hamer said the importance of trade with Mexico “can’t be overstated”: Northbound traffic alone accounts for 740 trains, 400,000 trucks, 13,000 buses, 17.8 million cars and 25 million people crossing the Arizona border. He said those people spend $7.5 million every day in Arizona, where some border communities get up to 70% of sales taxes from Mexican visitors. But the effect of problems at the border will be felt far beyond border communities, Hamer said. “For all those who enjoy fresh delicious produce from Mexico, particularly the very yummy tomatoes and the nutritious avocados … our consumers across the country are going to feel the pain in terms of higher prices and less produce,” he said. 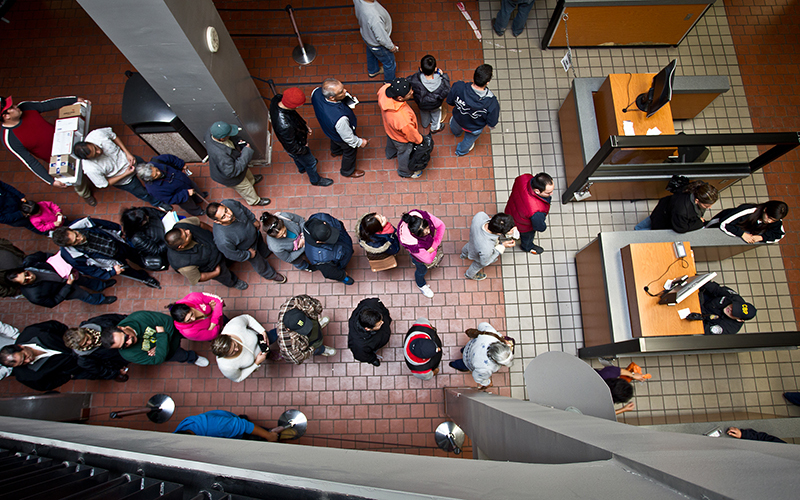 Paola Avila, vice president of international business affairs at the San Diego Regional Chamber of Commerce, said Monday that San Diego has seen its wait times double since the redeployment of personnel. Saenz said the solution is simple: Let CBP agents continue doing their everyday jobs. “For us, the quick fix is bring the CBP officers back, open those lanes and allow trade to proceed,” Saenz said.